And still, for others, pairing foods with mead wasn’t even an idea they thought about. Have a dry mead? Its properties can be similar to that of wine, so break out the cheese board and make yourself a cheese platter. Who doesn’t love cheese anyway?! Mixed with thinly sliced meats, nuts, and fruits, a combo like this will be a hit of the party. Dry meads also go amazing with seafood too! Mix up spicy flavor with light and fresh flavors. This can go for either food or beverage. Want to enjoy a glass of fruit mead? Try breaking it out on taco night or with your next order of indian food to balance the spicy flavor with the crisp and refreshing one. Or otherwise, if you’ve got a peppery mead flavor, try it with fresh fruits or some fresh veggies. Perhaps a floral or citrus mead is more your thing. If that’s the case, get yourself a crisp and refreshing salad. If the mead has a fruity mix to it, try including that same fruit in your meal. Have a strawberry mead? Slice up some strawberries to toss in with your arugula, or even try a similarly flavored vinaigrette. Blueberry mead? Chuck a few whole blueberries in that romaine mixed bad boy. Sweet with sweet is an amazing treat! A great thing about sweet meads is that they go amazingly with equally sweet desserts. Pies, cheesecakes, and other baked good are just another reason to pour yourself another glass. If your mead is dry and sweet, pair with a very sweet treat like birthday cake, or if your mead is on the sweeter side, balance it with a slice of cheesecake or carrot cake. Beyond that, the combinations are not only endless, but they vary person to person. Experiment with what you like and what your palate is naturally drawn to. Also, see how your palate best responds, sip first then food, or vice versa. All in all it’s not complicated, and can be a fun afternoon with friends discovering new flavor sensations. 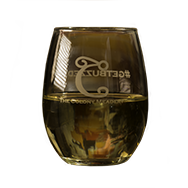 Visit The Colony Meadery's Allentown and Bethlehem locations to bring home your favorite meads today.